Our first societal responsibility is excellent teaching at Maastricht University. Each member of the Eat-Lab teaches about 50% of his or her workweek. We often present our research findings to scientific, therapeutic and laymen audience, by means of academic or public lectures and workshops. We also give ‘kids and teens colleges’ for children and adolescents. On a regular base we provide for workshops and training in clinical skills for health and psychopathology professionals. Our lab policy is that we annually write articles about our research and its clinical or societal implications in Dutch journals for professionals (see Dutch publications). We give many time-consuming interviews. We participate in many diverse societal committees, like the Netherlands National Standard of Care for Eating Disorders – founded by the Network Quality Development Mental Health Care / Trimbos (Mulkens, Jansen); the External Advisory Board of the German Competence Network Obesity (Jansen); the National Health Council committee ‘Prevention of obesity and the risk of eating disorders’ committee (Jansen); the Dutch national (CBO) committees for the development of guidelines for the treatment of eating disorders (Jansen) and obesity (Mulkens); the Social Sciences division of the national Netherlands Organisation for Scientific Research (Jansen) and so on. 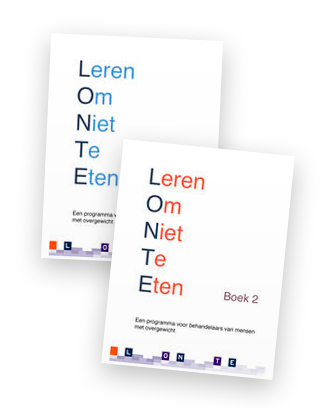 Recently Anita Jansen and Sandra Mulkens made two Dutch i-books and a Dutch website for health care workers, demonstrating and explaining the use of cognitive and behavioural techniques in the treatment of obesity.